Is this size Coca-Cola allowed here in New York City? Gotcha — it’s chalk art! 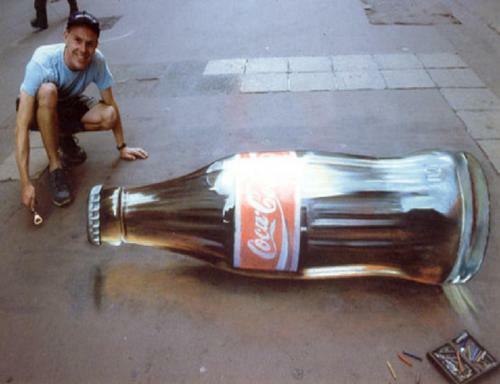 This entry was posted in Advertising, Art, Design, Food, Humor, Life and tagged advertising, art, chalk, chalk art, Coca-Cola, Coke, design, food, Humor, life, Mayor Bloomberg, New York City, the real thing. Bookmark the permalink.